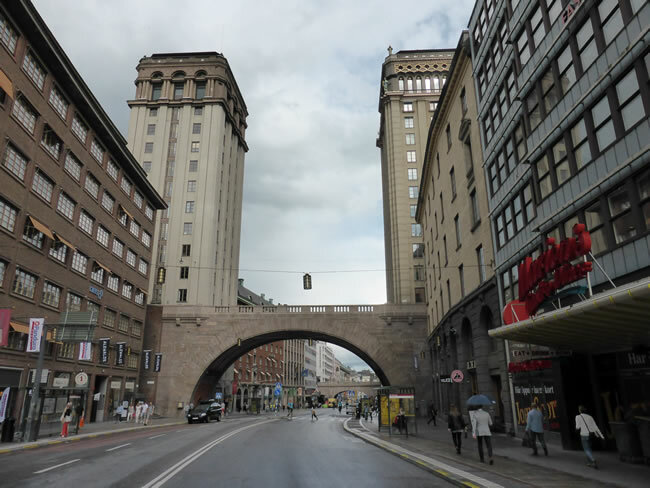 We got off the train in the business district and decided to walk down Kungsgatan through the centre of the city before we went to see the 'old town'. We came to what may be the first skyscrapers built in Europe. The Kungstornen (King's Towers) were built in the early 1900s. The two arched bridges across the street were unusual too.